AFTER much buzz and anticipation, Hugh Jackman finally has his first Oscars nomination. The Aussie actor has been nominated for Actor in a Lead Role for his portrayal of Jean Valjean in Les Miserables, it was announced overnight. 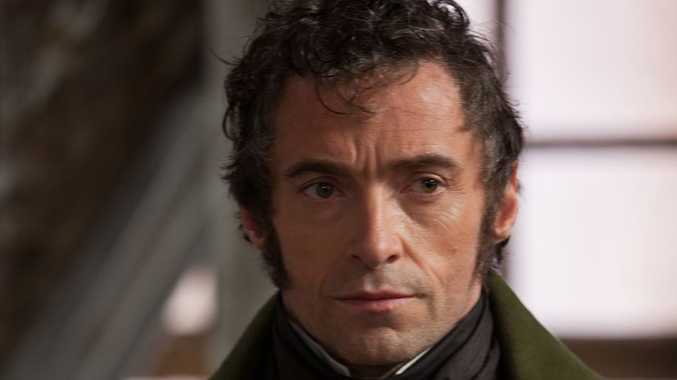 It follows Jackman's BAFTA and Golden Globes nominations for his stand-out performance in the movie musical. But he is up against some stiff competition with Daniel Day-Lewis, Denzel Washington, Joaquin Phoenix and Bradley Cooper also vying for the best actor award. Fellow Aussies Jacki Weaver and Naomi Watts are also nominated for their roles in Silver Linings Playbook and The Impossible respectively. US Presidential biopic Lincoln tops this year's Oscar runnings with 12 nominations, followed by Ang Lee's Life of Pi with 11 nods. Also in contention for the Best Picture Award are Argo, Django Unchained, Beasts of the Southern Wild and Zero Dark Thirty. Romantic comedy Silver Linings Playbook was nominated for eight awards, closely followed by Ben Affleck's directorial and acting effort Argo and Les Miserables both with seven nominations. Quentin Tarantino's bloody Django Unchained was nominated in five categories, while young filmmaker Benh Zeitlin's feature film debut Beasts of the Southern Wild has earned four nominations. Awards host Seth MacFarlane unveiled the nominees with actress Emma Stone.